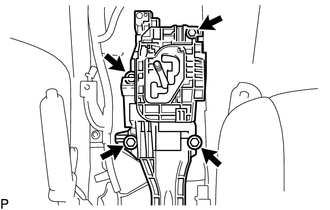 (c) Remove the clip to disconnect the transmission control cable assembly from the transmission floor shift assembly. 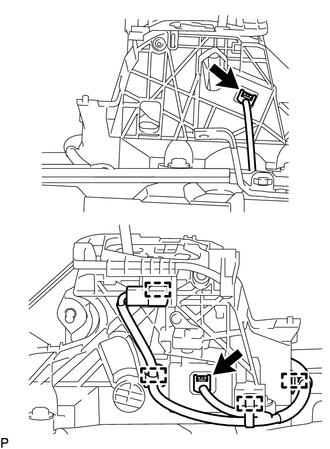 (a) Disconnect the 2 connectors from the transmission floor shift assembly. (b) Detach the 4 clamps to disconnect the wire harness from the transmission floor shift assembly. 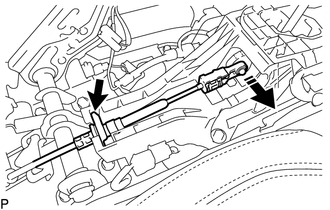 (c) Remove the 4 bolts and transmission floor shift assembly from the vehicle body.